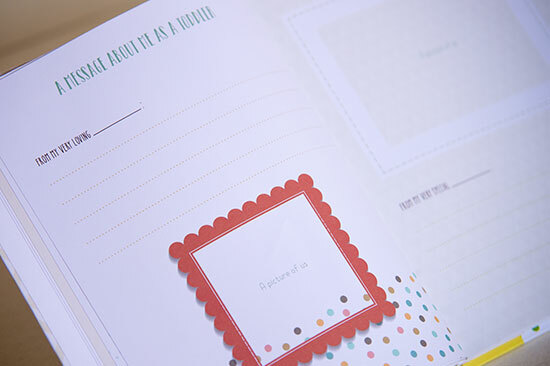 Collect memorable anecdotes with prompts and pages for toddler favorites, firsts, and funnies. 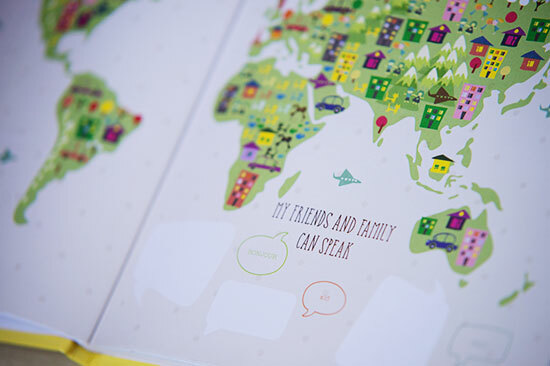 Add in works of art, photos, and keepsake mementos. 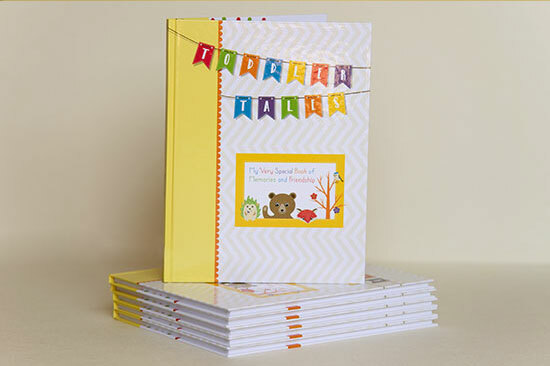 And remember and record how your toddler’s first playmates are growing, learning, and laughing together in the special friendship pages. Will you remember that his must-have PJs every evening were the ones with the whales? Will you remember that she asked for exactly 2 books, 3 songs, 5 kisses, and one favorite stuffed animal to fall asleep? When did he learn to spell the first letter of his name? When did she cross the ‘tall’ monkey bars at the playground? And what about all of their little playmates? The best-friend’s son, the neighbor’s daughter, the playgroup parents, the soccer camp buddies, the music class pals? 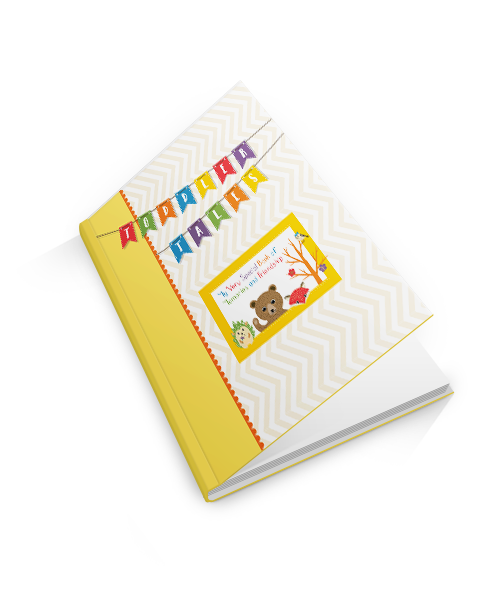 Toddler Tales is a memory record book and photo album in one that allows you to follow your little one through their toddler years. 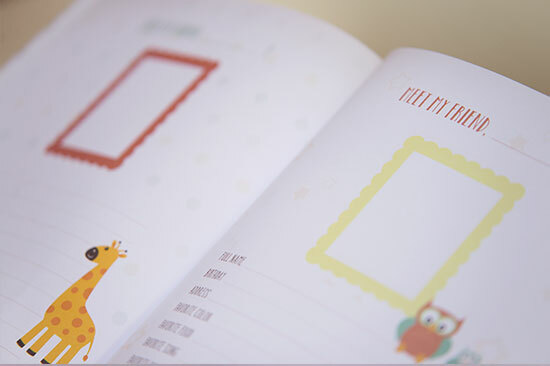 A perfect gift for any parent, this colorful 48 page spread invites you to share your toddler’s magical moments. 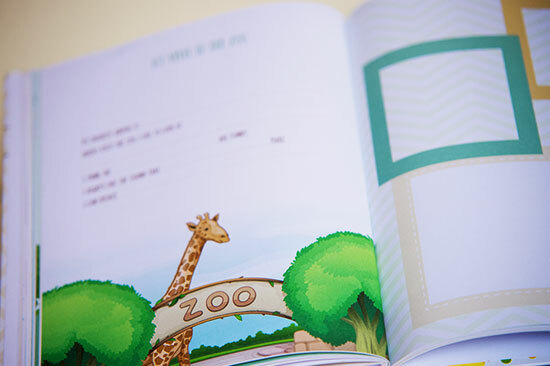 Printed on high quality wood-free paper and perfect for record-keeping, you won’t skip a page or a beat filling in your toddler’s adventures. 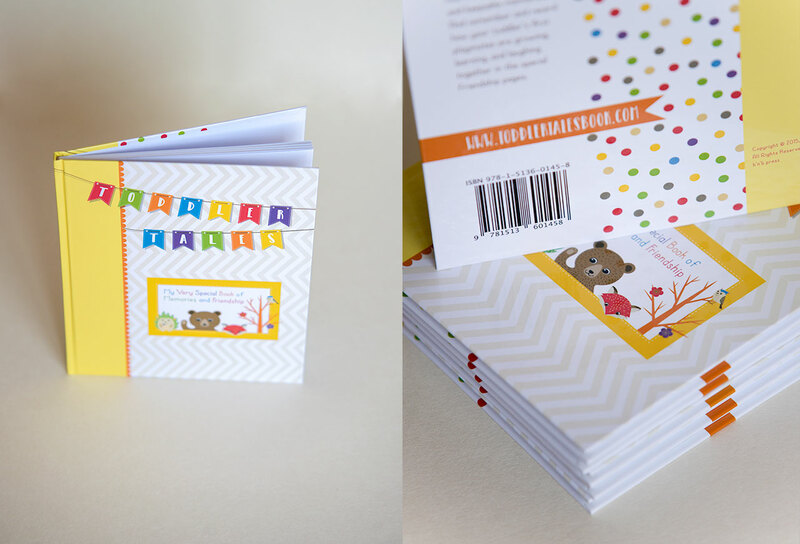 Toddler Tales is also the perfect gift for groups of friends. From playgroups to Pre-K, Mommy and Me to Dads Meetups, share this book among friends and circulate the special stories, laughs, and memories that your little ones make together every day! 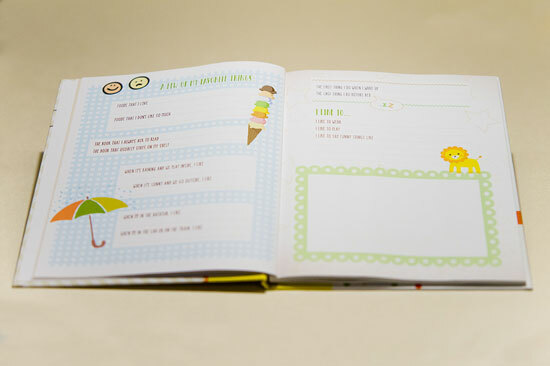 The Friendship Pages include space for eight special little ones, their favorite foods, colors, animals, songs, and of course, activities with their best friends! Two sisters-in-law, two continents, and two three-year-olds inspired us to create Toddler Tales. As moms who kept meticulous baby book records, scrapbooks, and photo albums in the first year of our children’s lives, we found ourselves getting a bit lax when baby-dom turned into the terrible twos and then we braced for our three-nagers! We want a way to remember our children’s best friends at this young age- the ones who share, also the ones who push, the ones from the playground or playgroup, and the ones from pre-school. 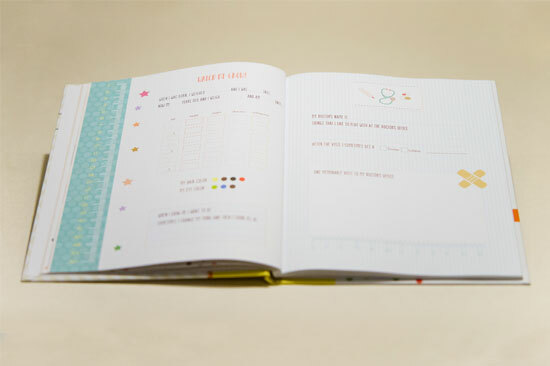 We also want to keep track of the hilarious things that our toddlers say and do, write them special messages about the grown-ups that they are becoming, and document their daily activities beyond their first tooth and first foods. We want a place to store their most special works of art, and their first letters and words shakily written in bright red marker. We want to cherish them as they are now- no longer babies crossing many ‘firsts’ off of the list. We want to remember their very special Toddler Tales. Please “share” and “Like” our Facebook page!